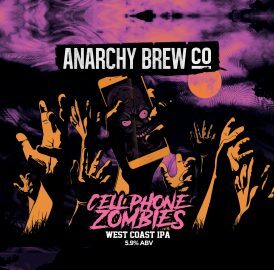 New Beer Alert: Cell Phone Zombies - Anarchy Brew Co.
Our latest beer has been released into the wild! Cell Phone Zombies is a West Coast IPA-style. Expect a light-bodied and piney beer, with a big Chinook dry-hop. Want to know more about our other brews? 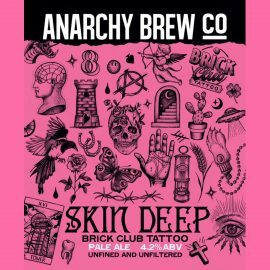 Head over to our beers page here.